The foundation board of the Ecumenical Center hosted the annual Ethics in Business Luncheon, bringing together students and local business leaders and highlighting the importance of business ethics. In addition to recognizing excellence in organizations, The Lahourcade Award was presented to Kathleen Kuper of Kuper Sotheby’s International Realty for her high integrity and ethical decision making. Mr. J. Kuper gave the keynote speech. Proceeds for the event support the education, counseling and wellness programs at The Center, which is dedicated to healing and growth in our community. 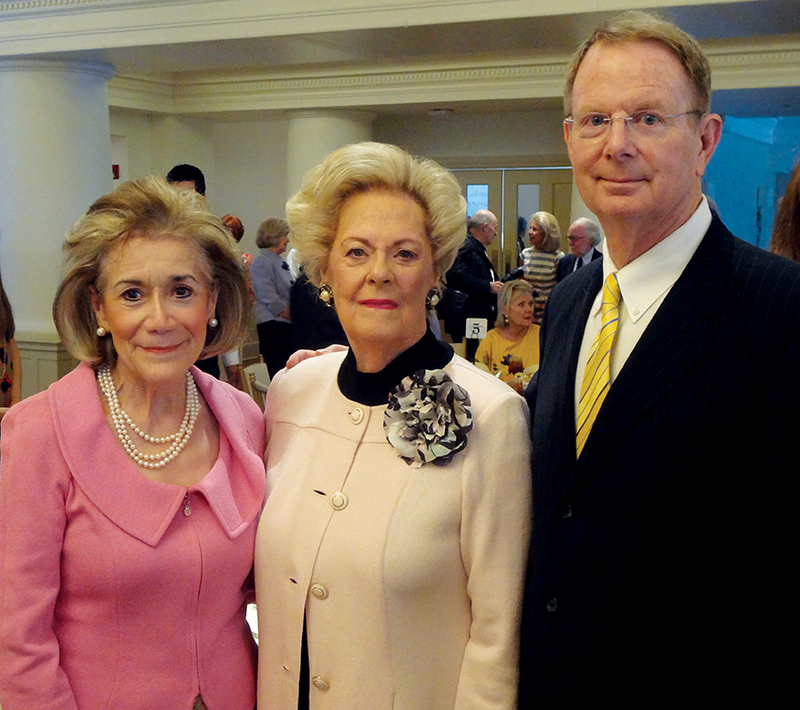 Mary Carter chaired the luncheon, John W. Weber, Jr., chaired the steering committee, and Mary Beth Fisk is the CEO/executive director. Enjoying the sunset with cocktails in hand, this year Splendor in the Garden Gala changed tunes a bit. This year’s theme was La Dolce Vita, a 60s-inspired Italian garden party celebrating nature, plants and “the good life”, and featured catering by the RK Group, with wine and food pairings by Scott Ota and High Street Wine Company. Gala co-chairs Caroleene and Bobby Dobson, Magdalena and Raul Gaona, Jr., MD, Elizabeth and Hunter Houston, and Julie and Peter Zacher oversaw an evening beginning with cocktails and antipasti in the Family Adventure Garden, dinner in the Conservatory, and dolci e caffé in the Promenade. Guests and committee members included: Leslie Komet Ausburn and Adam Ausburn, Belinda and William Nixon, Rusty and Kerri Hoermann, Jim and Karen Greenwood, Lauren and John Browning, Marty and Steve Hixon, Damien and Lisa Watel, Linde and Dean Murphy, and Amy and Ben Swaney. I couldn’t resist this exhibit: the McNay’s brand-new Immersed: Local to Global Art Sensations, in which you’ll discover plenty of places to pose, from a grown-up interactive Lite-Brite (very cool) to Andy Warhol’s Sunset film and Shadow Monsters, the latter of which will allow you to stand in front of a projection screen that sprouts horns from your head and makes your fingers beastly tentacles. The main attraction, however, is the chance to step inside revolutionary Japanese artist Yayoi Kusama’s otherworldly, site-specific yellow light installation. Organized in conjunction with the San Antonio Tricentennial celebrations and the 50th anniversary of HemisFair ’68, this exhibition focuses on San Antonio as a place of deep history, local values and global thinking. 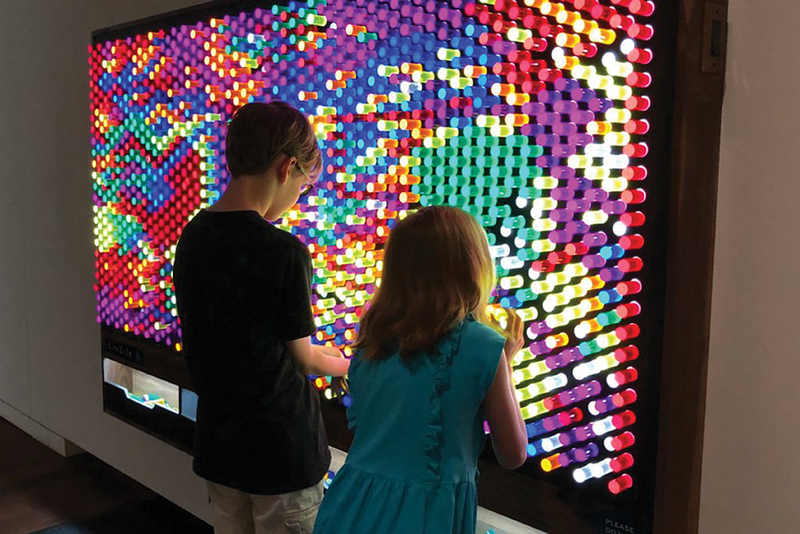 Immersive, environmental installations by Yayoi Kusama and Philip Worthington, a film by Andy Warhol, and a new commission by San Antonio’s Chris Sauter transform the McNay’s Tobin Exhibition Galleries. Internationally celebrated Japanese artist Yayoi Kusama’s Aftermath of Obliteration of Eternity immerses the viewer in an enclosed, mirrored, seemingly-infinite space. A constellation of lights brightens into the expanse, only to slowly fade back into darkness so that the cycle can begin again. The work asks viewers to think about not just placement in local or global settings, but in the entire universe. Kusama’s vision of a better society through creativity, and dedication to creating objects and environments that unite and heal, is itself a mirror to San Antonio as the city reflects on its 300-year history. Due to the nature of the installations, reservations are required in order to allow for the best possible visitor experience. Reserve now before it’s too late; the exhibit runs through September 2. 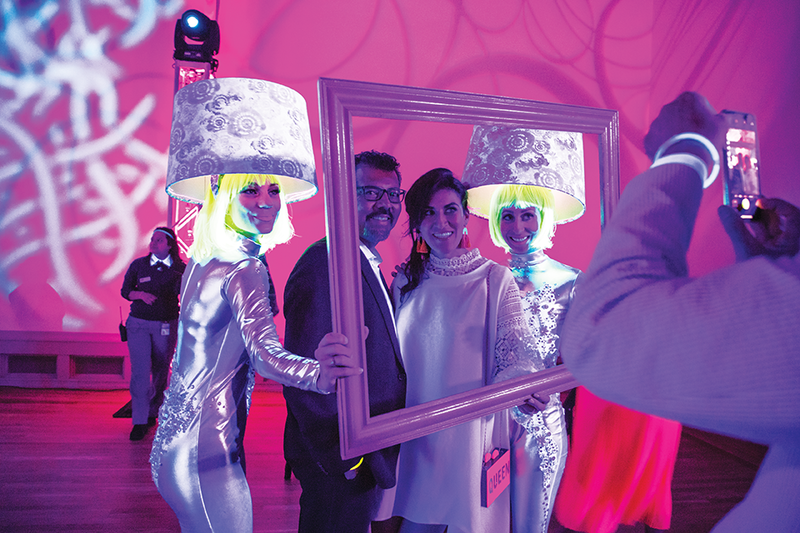 The 10th Annual Spring Party at the McNay was anything but dull during a neon evening where guests dressed in neon or white and glowed all over. Guests played with light and were amazed by talented glow-in-the-dark aerialists and LED dancers. Cocktails, flash tattoos, neon photo ops and dancing were just a few happenings in color. Committee chairs Daniela and Antonio Serna IV, along with sponsors Karen Lee and David Zachry, Amy Stieren Smiley, Jessica and Ryan Berg, Eliabeth Halff, Jessica and Clint Worth, Jill and Gardner Peavy, Sheila and Carter Mayfield, Melanie and Robert Thomas, Hannah and Jose Ortiz, and Guatam and Neha Moorjani ensured a colorful, glowing party to remember. A few attendees taking it all in included Tawana Timberlake, Michael Quintanilla, Bradley Kayser, Gemma Kennedy, Anne Zanikos, McNay director Richard Aste, Tim Hedgepeth, and Max Goodman. 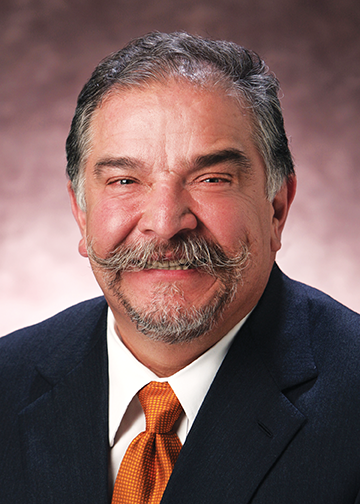 Dr. Manuel “Manny” Quiñones, a board certified, family practice physician, has been appointed by Governor Greg Abbott to serve on the Texas Medical Board. He is one of only five Texas doctors and the only one from San Antonio to be selected. The Texas Medical Board is the state agency tasked with regulating the practice of medicine state-wide. Its mission is to protect and enhance the public’s health, safety and welfare by establishing and maintaining standards of excellence used in regulating the practice of medicine and ensuring quality health care for the citizens of Texas through licensure, discipline and education. There may be no place like home, but at this year’s Red and White Ball, you won’t mind spending a night out. 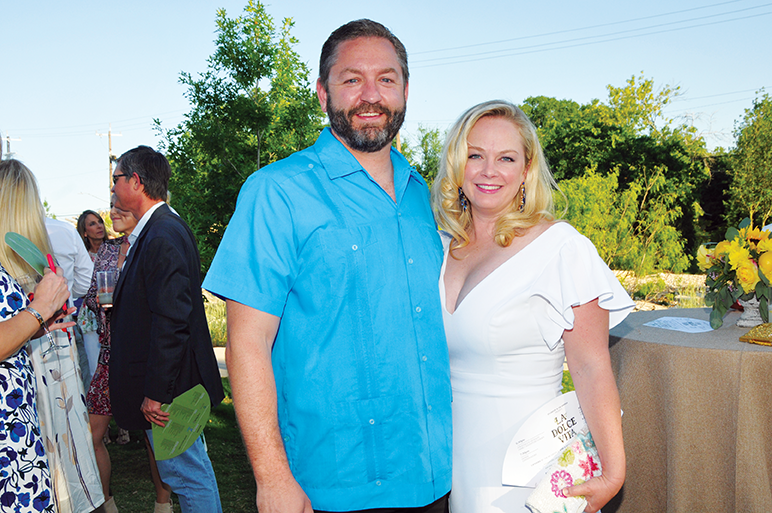 The Blood & Tissue Center Foundation’s annual event raises money for critical research, equipment, and therapies that help save lives in South Texas. There will be dinner, dancing, entertainment, a raffle and a silent auction, all held at the luxurious Marriott Rivercenter. The ball is Saturday, October 27 from 6:30 pm to 11:30 pm. Make sure to purchase your tickets at redandwhiteballsa.org — you won’t want to miss this magical evening in Oz!